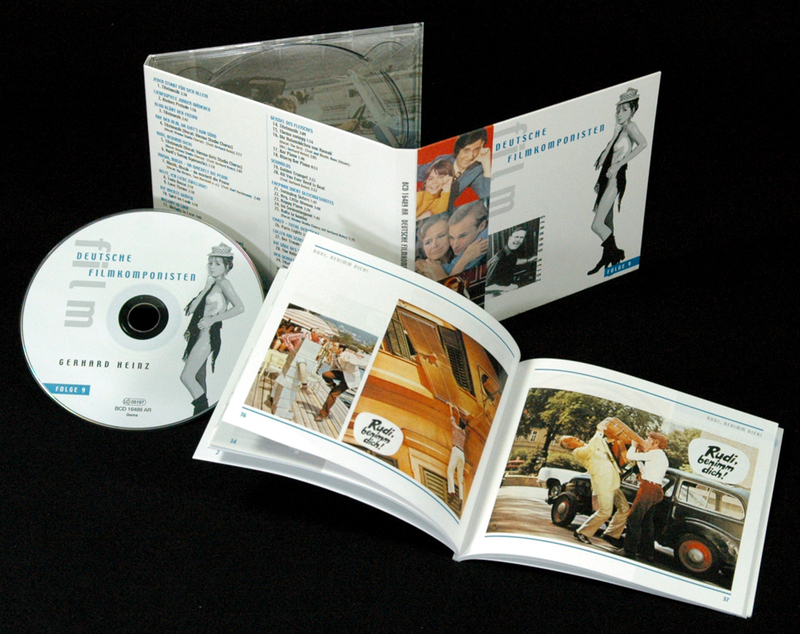 1-CD Digipak with 76-page booklet, 31 tracks. Playing time 78:22 mns. 07 Musik, Musik - da wackelt die Penne (aus: 'Mu Ilja Richter, Toni Marshall u.
Gerhard Heinz, born on 9 September 1927 in Vienna, was one of the most productive and versatile composers of German-Austrian cinema. During his long career he worked for such diverse film directors as Dr. Harald Reinl, Alfred Vohrer, Kurt Nachmann, Franz Antel and Franz Josef Gottlieb. The stylistically comprehensively educated Heinz mastered the craft of composing perfectly within a very tight time frame. 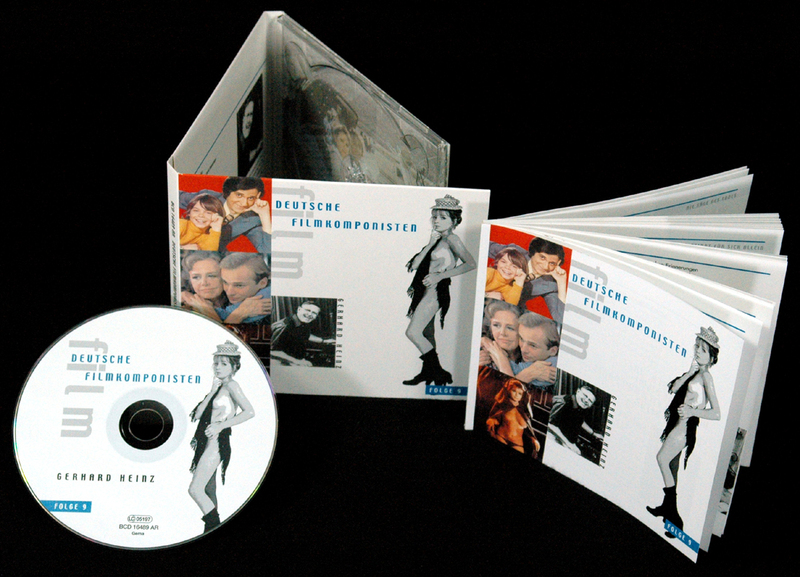 Typical for many popular German films of the sixties and seventies was the almost equal importance of orchestral passages with sung titles. These films were shaped by the composer like no other, which made him one of the few successful and versatile crossovers between orchestral music, jazz and pop. Already in his childhood he played music, at first at the request of his parents. They wished for their son to learn to play the piano. Heinz remembers: "But during the war there was nowhere a piano. If you wanted to play, you had to be able to play a portable instrument. So I learned the clarinet." Soon after the end of the war he was asked to join a small orchestra. "On February 13, 1946, I returned from a prisoner of war and played on February 15, 1946. Actually none of us could really work according to notes, so there was nothing else but jazz. Everyone just as best he could..."
The first fee was a sandwich, worth a fortune at that time, and then a quarter of wine at midnight. "After drinking the wine, I was suddenly awake again." While the immediate engagements in the post-war period were even more improvised than planned, professional engagements were soon added. In 1948, the time of the currency reform, Heinz "was engaged by the then already very well-known jazz musician Hans Koller. Later he gained a worldwide reputation as a jazz saxophonist. "That's where I started the piano." Altogether he performed with Koller for more than two years. Music was of great importance to Heinz, but at the same time he studied electrical engineering at the Vienna University of Technology. His life took a decisive turn when he was engaged in 1950 for the entertainment orchestra of Horst Winter, who was "then a very well-known and sought-after singer in Austria". "He had problems with his orchestra at the time. Some of the musicians wanted to stay in Vienna permanently and just play in the studio, the other part wanted to go on tour with him. He was looking for a replacement and I went to him." Winter had got himself a Hammond organ. "This was the only Hammond organ in Austria at that time and the hallmark of being'modern', so to speak. It was the first instrument in the direction of electronic music, because it was an electric instrument. "For me, this was the key to everything that was good and expensive in music." Heinz had a perfect command of the Hammond organ, which also caused a sensation nationwide. The music producer Gerhard Mendelson, then recording manager of the Vienna department of the record company Polydor, engaged the young musician. Heinz recorded current pop and dance titles for the Polydor in the'Hammondsound'. 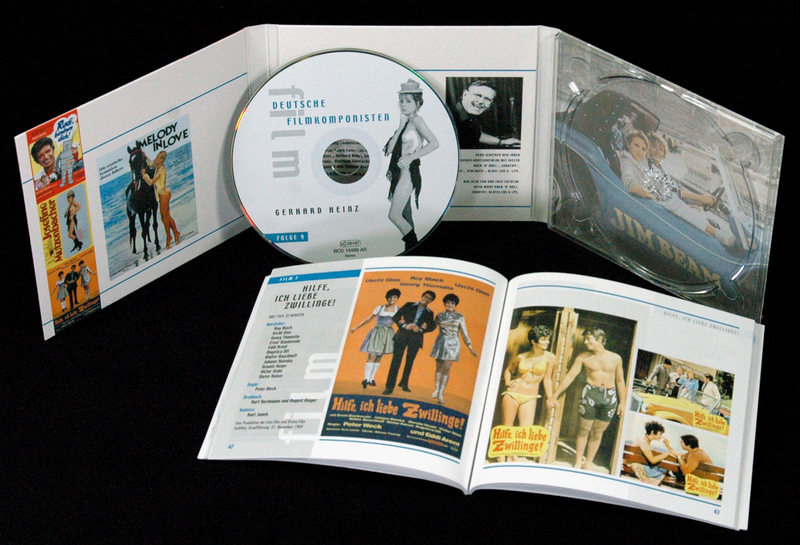 Customer evaluation for "Grosse deutsche Filmkomponisten Vol.9"
Die CD bietet einen nostalgisch-beschwingten Blick zurück in eine herrlich verrückte Kinodekade. Das 76-seitige Booklet beinhaltet zahlreiche Abbildungen sowie Hintergrundinformationen zum Komponisten und den von ihm vertonten Filmen.